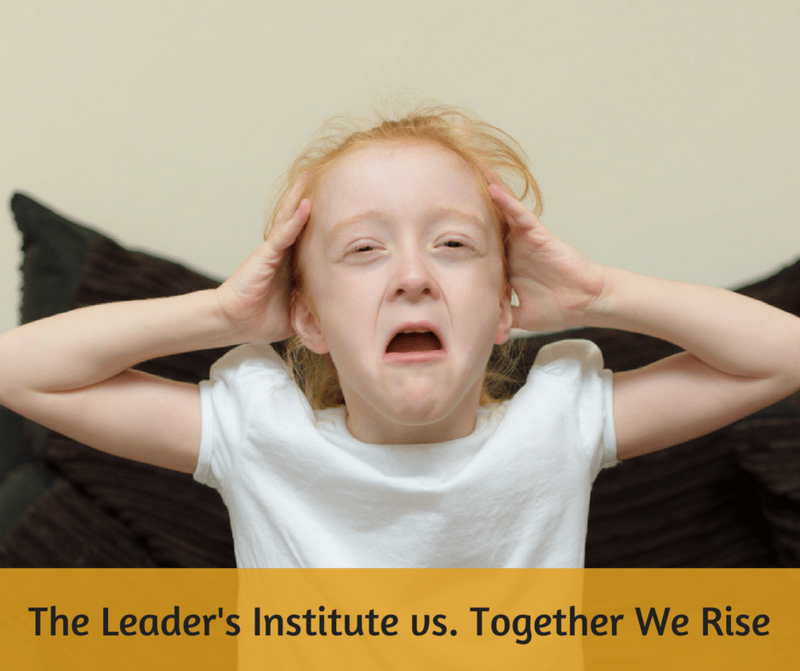 It is with a heavy heart that I have to report that my company, The Leader’s Institute, LLC, had to file a federal trademark lawsuit against the California non-profit Together We Rise Build-A-Bike, last week. As many of you know, we own the federally registered trademark for the Build-A-Bike ® team building activity. We have owned that trademark for over a decade (U.S. Trademark Registration No. 4,542,884 and U.S. Supplemental Trademark Registration No. 3,535,706). We were also the company that brought charity team building activities to the forefront starting in 2005. In fact, the Build-A-Bike ® event was the linchpin that started the whole industry. According to their website, Together We Rise is a California-based non-profit organization founded by Daniel Mendoza, to help children in foster care. We really appreciate Mr. Mendoza’s work. In deed, it appears as though Together We Rise has done some fantastic work helping children in over 40 states. The challenge, though, is that the organization began offering an activity in 2011 called the Together We Rise Build-A-Bike Tour. We believe this is an infringement of the Build-A-Bike ® trademark. We became aware of the potential infringement in 2016, as although Together We Rise began using the mark years ago, they didn’t begin using the mark on their website until 2014. In addition, the organization began using the phrase “team building” and “team building activities” in conjunction with “Build-A-Bike” in 2015. Also according to documents published on their website, in 2015, the year that the organization began to use the Build-A-Bike mark in conjunction with corporate team building activities, their annual revenue increased from $292,762 in 2014 to over $5,098,435 in 2015 – a 1700% increase! We know from experience with licensees who begin using the Build-A-Bike ® trademark in their advertising that the Build-A_Bike ® activity is something that big companies look for by name on internet searches, and our licensees see a similar increase in revenue when they start using the mark in their advertising. So, although we are happy that a lot of new foster kids are being helped, it’s not fair to our licensees that a competitor is able to use our goodwill to generate fantastic revenue at our expense. In this instance, we sent a cordial email to the founder of Together We Rise back in January of 2016 letting him know about our ownership of the trademark and asking him to stop using the mark. We got no response. In May of 2016, we sent a formal Cease and Desist letter to Mr. Mendoza. A month later, we got a response from an attorney, Shane Rumbaugh of Cooley LLP, representing Together We Rise. The letter basically said that, although Together We Rise respects trademark law, they didn’t believe that The Leader’s Institute ® owned an incontestable right to the mark. The organization refused to abide by the Cease and Desist letter. In fact, they not only continued to use the mark but actually began using a similar mark, Build-A-Board, in the meantime. We continued requesting via email and letter that Together we Rise comply. In fact, last month, I reached out via phone to Daniel Mendoza personally, CEO to CEO, asking him for help. I mentioned to him that since it had been over a year since we first asked them to comply, that his organization was obviously willfully violating federal laws. Daniel responded telling me that he was in his 20’s, and that he didn’t really have the power to make unilateral changes to the organization’s policies. He told me that they had specific procedures that had to followed, and that he would talk to the appropriate people and get back to me. A week later, we got a similar response from Mr. Rumbaugh telling us that they would not comply with the request. After doing a little research on Together We Rise’s website, I easily discovered that Daniel is not only the founder of the organization, but also the CEO, one of only two paid employees of the organization, and one of only two named board members of the organization, so his claim of little power in the organization seems strange, now. So, we had no choice but to file federal trademark lawsuit against Daniel Mendoza and Together We Rise Corporation. (The Leader’s Institute, Inc. v. Together We Rise – U.S. District Court, Northern District of Texas, Case No. 3:17-cv-02604-N).